The Unique Identification Authority of India (UIDAI) has been directing citizens to update their mobile number or add one to their 12-digit biometric Aadhaar card. This would ensure them to avail services like Government & Non-Government services, Subsidy Benefits, Pensions, Scholarships, Social Benefits, Banking services, Insurance services, Taxation services, Education, Employment, Healthcare etc. Apart from this, with registered mobile number, a citizen will be able to update their Aadhaar card seamlessly and hassle free. Although the UIDAI allows updation of Aadhaar card without registered mobile number, the mentioned services will be best enjoyable when fed in the biometric. 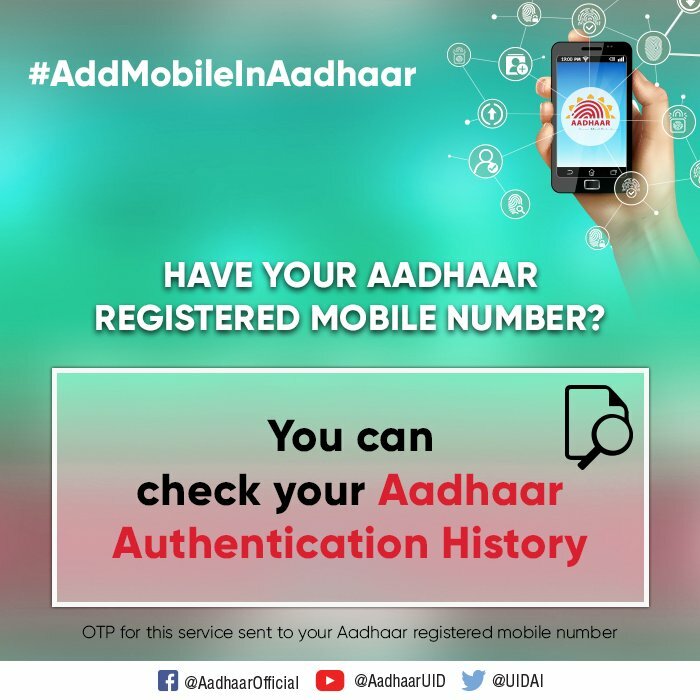 At the same time, UIDAI tweeted saying, “If you have your Aadhaar Registered Mobile number, you can check your Aadhaar authentication history online from: https://resident.uidai.gov.in/notification-aadhaar …. #AddMobileInAadhaar.” Thereby, it is always advisable to register your mobile number with Aadhaar card. If you have not registered your Mobile number while enrolling for Aadhaar, you are required to visit a Permanent Enrolment Centre to get it registered. 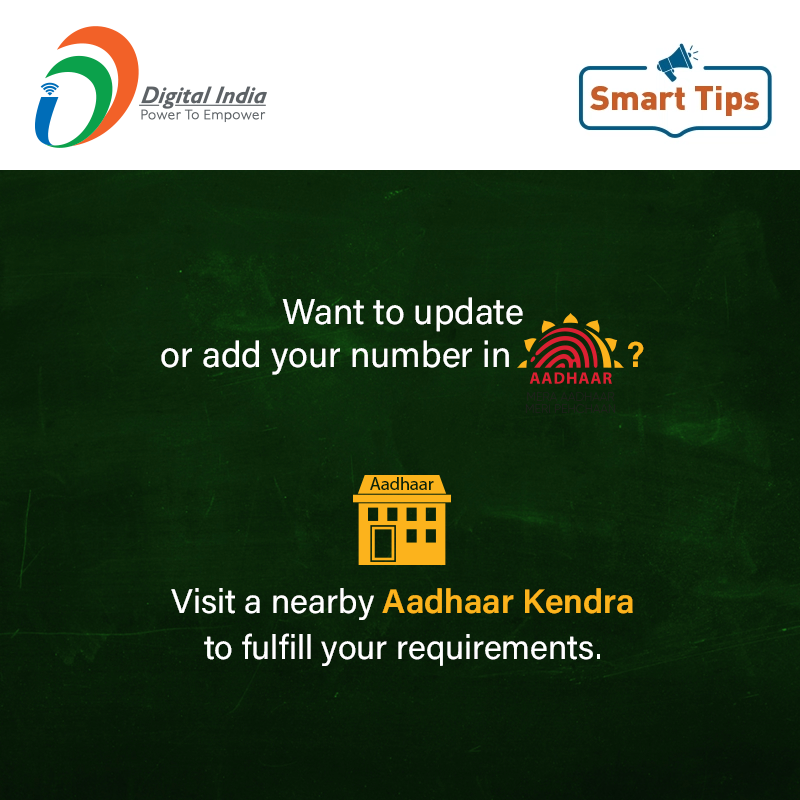 Once you visit enrolment centre, fill out a Aadhaar correction form. This time mention your current usable mobile number. Then submit your form and provide biometric authentication. After following this procedure the executive will give you an acknowledgement slip. Now this slip will contain an Update Request Number (URN). URN is 14 digit unique number given to those who have updated their Aadhaar card. This number can be used to track the status of the Aadhaar card. Apart from this, you can also check your Aadhaar update status via UIDAI’s toll-free number 1947. The moment your mobile number is registered with Aadhaar card, you will start receiving One-Time-Passwords to avail services.